Take three sorts of sequins... | Does my bum look 40 in this? .. and Christmas is done. I'm not saying that you have to love all three sorts and I'm certainly not going to advocate wearing them all at the same time. 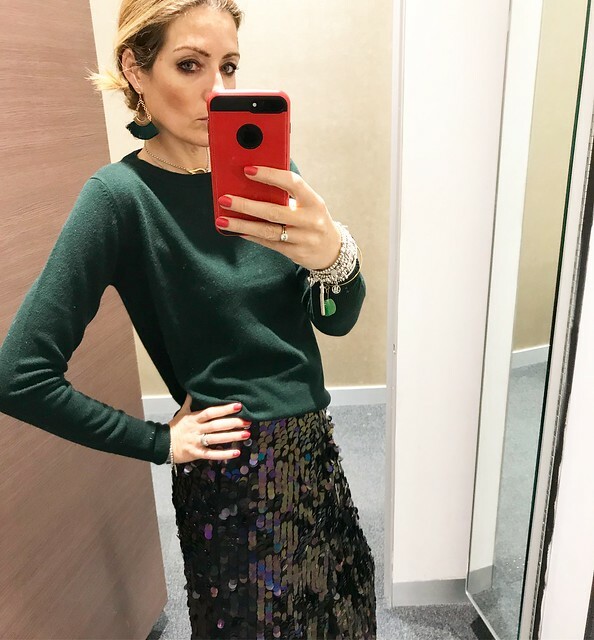 But when House of Fraser asked if would like to partner with them on putting a blog together about my favourite Christmas outfit - there was only one thing for it - crack out the sequins. 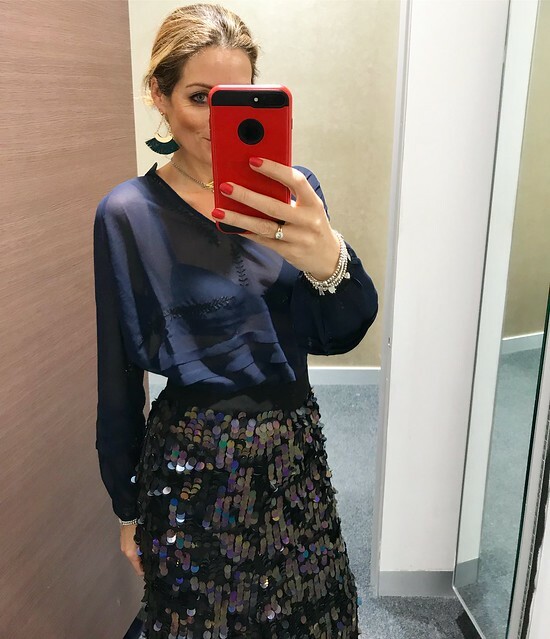 I have found three very different sequin pieces from House of Fraser and styled them differently so hopefully there will be something that you love. First up - what I will admit is the trickiest of the three pieces, but are absolutely perfect for the apple and column shaped amongst us. May I present - sequin leggings. Now these ones are cleverly a matte sequin - I'm sure that most of us don't need the extra inches that the super shiny sequins can add. However with a longline jumper over the top and a pair of heels - or flats - you take your pick, this would be a great subtle party outfit. Here I am in the jumper and leggings. The jumper is in a medium. Another alternative is v neck cashmere jumper. Which you can obviously wear as a v neck or you can turn around if, like me, you prefer a slash neck. Or the right way round! 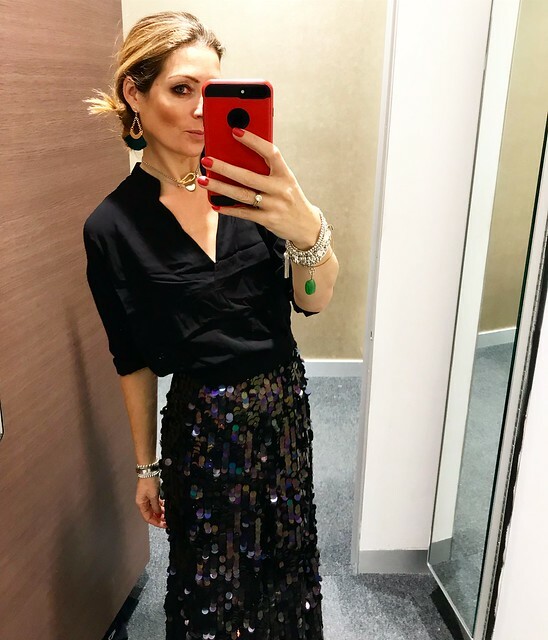 Sequins in skirt form now. 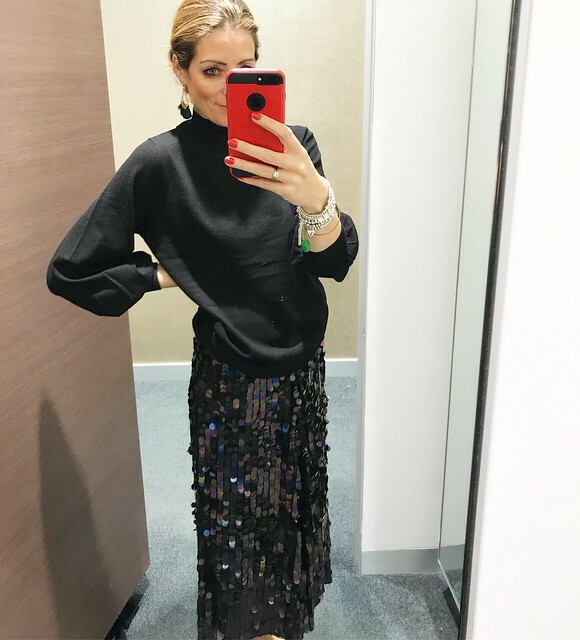 Biba Sequin Dipped Hem Skirt £89 . This comes up on the big side - I took a 10 which is a very ample sized 10 I would say. And first up - teamed with the first two jumpers. Both work really well - even the longer line one as the bottom is tighter so just sits perfectly over the waistband of the skirt. And then with the v neck cashmere (worn back to front again..). But then I found the most amazing forest green cashmere jumper at Linea. The sequins on the skirt are an iridescent black which change colour depending on what you wear with it. The green is such a lovely change from the usual sea of black (which I happen to be a massive fan of mind you...). Linea Komal Cashmere Jumper £79 This is me in the medium. Then an alternative to knitwear - two blouses. The first in a navy with black detailing. This would work so well with jeans and black or navy shoes or boots as well. For evening or just for during the day. Navy or black blazer - a homage to my usual uniform. But my favourite.. although it was a very close call between the skirt and this - how could I resist a sequin jacket. In. Gold. (and silver). Biba Colour Block Sequin Jacket £99 I took my usual jacket size 10 in this, the 12 was definitely too large. And to go with it - I have also found the ultimate in black tops. 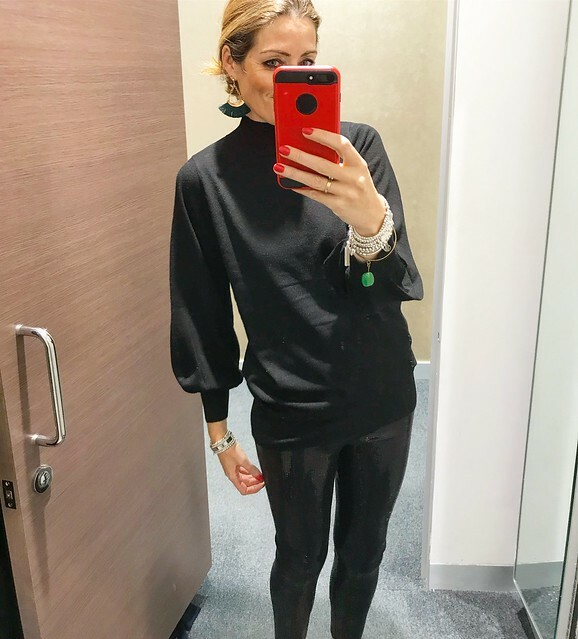 The one and only black top you will need for the Winter and into the Spring. And with must have coated skinnies. And here I am in what I think is one of the easiest Christmas party outfits to wear. Comfortable (ok so I may get rid of the heels by the end of the evening) but no tights to think about and absolutely all three components will be worn all year round. Yes I WILL be wearing this sequin jacket with a white or black tee and jackets into the Summer. 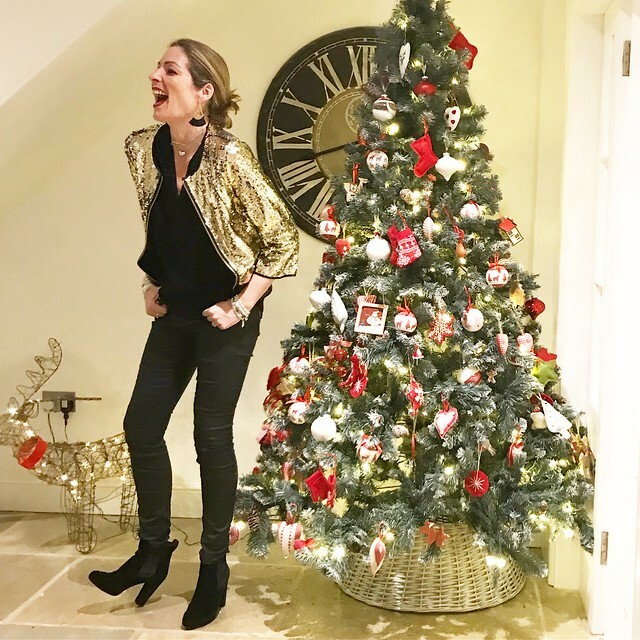 I'm planning on overdosing on Christmas cheer and shall be cracking out the sequin jacket for day wear this week. Yes, you heard that right. I'm thinking polo neck, jeans and chunky boots (to eliminate the potential whiff of the walk of shame). Perfect festive season outfit and I bet I bring a smile to at least one person on the train. 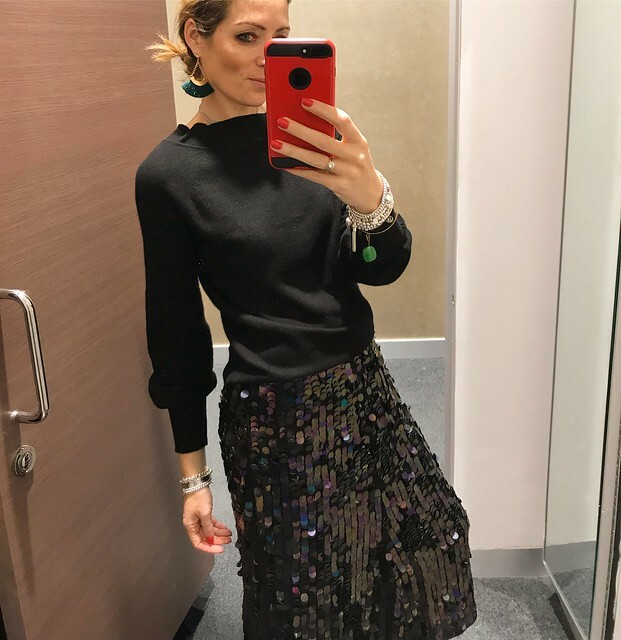 If it's my husband, he will be laughing at me and not with me (nowt new there then) but I reckon someone else will partake in my festive vibe... Let the sequin fest begin. 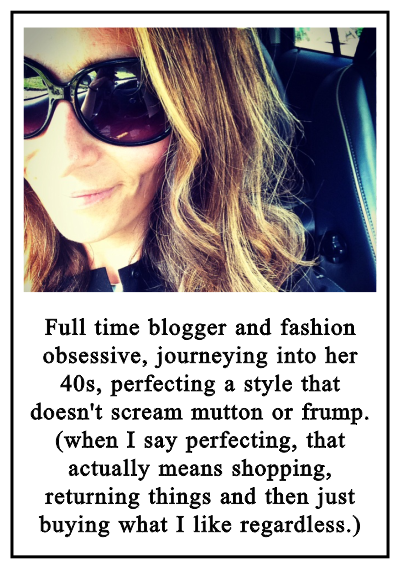 As stated within the text, this post was written in partnership with House of Fraser. 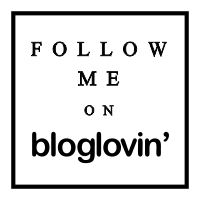 All clothes were chosen by me with no editorial input from House of Fraser. Errr that’s not their tree, that’s mine!! But they did decorate it...!! And they did do a good job! You inspired me to invest in a little bit of sequin sparkle. 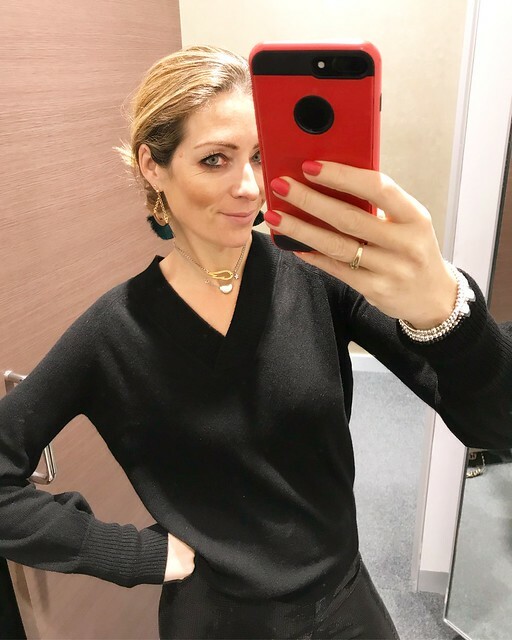 I've ordered a navy top/camisole to wear under a jumpsuit and my Me+Em silk wrap blouse, upgrading all year round clothes with a touch of festive cheer! 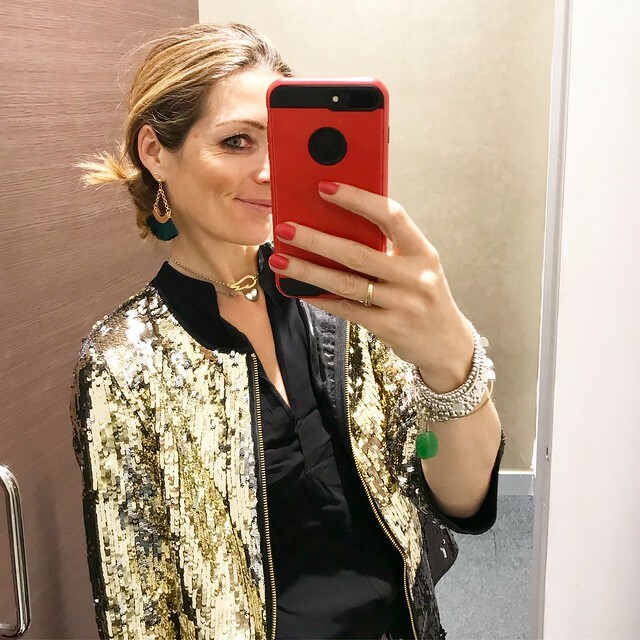 It really is the easiest way to add instant Christmas to an outfit!! Just won a beautiful sequinned pencil skirt on Ebay, it's a lovely pinky/lilac colour. Just hope it fits now! Gosh no - I think it would look lovely with flats or easily a kitten heel. It's a slight A Line with a fluted hem. Does that make sense? I think you'd have to try it... sorry - that's not freaking use whatsoever is it? It depends if you like flaunting your curves - it would definitely be snug on the hips if you are more generous in that area BUT it would then flare out below the knee which would be very Jessica Rabbit!! Buy women leggings that are easy for work, travel and casual day out. An all year round wonder.